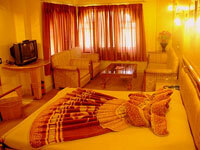 Welcome to Hotel Maganji�s, Mt Abu, which is designed to bring you close to nature. It is nestled in the mountains of the Aravallis between various multilevel manicured lawns and beautiful landscaped gardens, with rooms boasting an uninterrupted view of the lawns and the wooded mountains in the backdrop.The quiet and peaceful surroundings, the seductive tranquility, the stunning view provides a wonderful retreat from the heat to relax and enjoy the nature. The beautiful and serene atmosphere around the property is perfect for a true nature lover seeking pleasure and relaxation in the midst of a protected mountainous area of the Aravalli mountain range, far from the hustle and bustle of the city. A quiet place in harmony with the beauty of natural surroundings, where you can enjoy crisp and clean air from the lush surrounding forests . A hotel full of fresh and innovative ideas that are simple yet truly stylish; freedom to relax, leaving the world behind at the front door. Be it a family longing for a holiday, a couple on honeymoon or tourists on thrilling adventures- HOTEL MAGANJI�S is the ultimate choice. Experience for the first time the serene, pollution free limits of civilization with privacy like never before. 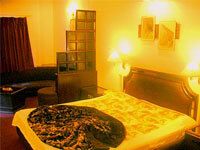 A combination of deluxe rooms and suites, specially designed to make your days and nights pleasant and comfortable . 2. 16 Hours Room Service. 6. Television (with cable network) & telephone. 7. 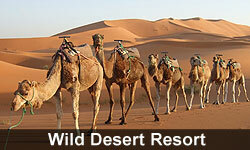 Trained Guides for Sight-Seeing & Forest-Trekking. 8. Children Park, Laundry Services. 9. Private Terrace, Beautiful gardens surrounding the Hotel. 12.Restaurant serving pure vegetarian Gujarati and Rajasthani cuisine.